Last week the British Motor Museum accepted Honda’s donation of the British-built Honda Civic Tourer 1.6 i-DTEC that holds the Guinness World Records title for fuel efficiency. The car was presented to the Museum by Fergal McGrath and Julian Warren of Honda’s European Research & Development Team, the two men who were behind the wheel of the world record attempt. The rules stated that all 24 EU countries had to be visited and the same two drivers must be in the car for the whole journey, meaning Fergal and Julian were faced with the challenge of driving a daily average of 600km, sharing a minimum of 7.5 hours behind the wheel each day! The car started its epic road trip in Aalst, Belgium on Monday 1 June 2015, navigating around the continent in a clockwise direction, arriving back in Belgium on June 25 2015. The Honda averaged 2.82 litres per 100km (100.31 mpg), beating the Civic’s official efficiency figure by more than 25%. The car stopped just nine times to refuel costing 645 Euros (£459) to travel across the 24 countries. During the trip each tank of fuel lasted roughly 1,500km or 932 miles. The Honda Civic Tourer will now form part of the Museum’s collection of over 300 cars and be on display in the Collections Centre. It joins one other Honda – a Prelude that was a gift to British Leyland’s chief, Sir Michael Edwardes, from Honda boss Mr Kawashima when the two companies signed their historic partnership agreement in 1979. 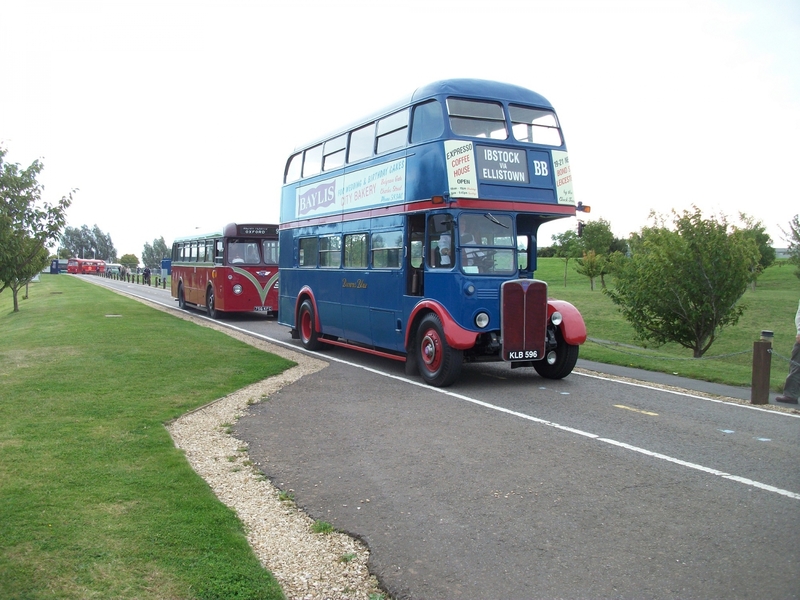 Visitors can also enjoy free heritage bus rides around local routes and the Museum’s internal road network. To complement the show a number of indoor and outdoor traders will also be joining the Festival bringing a variety of 'bus' related items for visitors to browse and purchase including books, DVDs, models and more - a perfect place for visitors to shop for a unique gift or for a new addition to an existing collection. For more information about the Museum and its collections please visit www.britishmotormusuem.co.uk or call 01926 641188.